West Henrietta, NY—The Lewis family of companies announced today that Elizabeth A. Lay has joined its leadership team as Director of Safety and Human Performance. Lay brings significant expertise to Lewis in the fields of Resilience Engineering, High Reliability Organizations, Safety II, Human Performance, and Operational Risk Management—and over 25 years of experience in positions that include leading the Siemens Energy Field Service Risk Management team and, more recently, Director of Human Performance at Calpine Corporation. Throughout her career, Lay has advised on human performance and operations risk management programs at organizations such as NASA and Los Alamos National Labs. 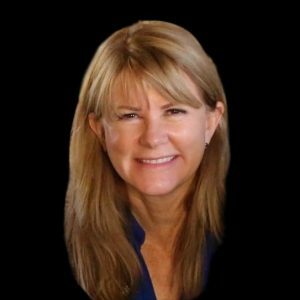 Her many contributions include the development of EU crisis management guidelines through the Darwin project, advising on the design of Human Performance coach training for the U.S. Department of Energy, and serving as Communications and Member Development Chairperson for the Resilience Engineering Association. Lay earned a bachelor’s degree in mechanical engineering from UNC Charlotte and a master’s certificate in cognitive science from the University of Central Florida. About Lewis: The Lewis family of companies is a high integrity, employee-owned enterprise employing approximately 4,500 team members throughout the U.S. and Canada. Founded in 1938, Lewis is celebrating 80 years as leaders in the vegetation management business. Lewis serves its customers and communities with three independent service lines: utility line clearing and storm restoration, primarily through Lewis Tree Service, Inc.; railway and highway vegetation control, primarily through Wilderness USA, Inc., and residential and commercial tree care, primarily through Carolina Tree Care.